Hi there everyone! Ona here to share a layout with you using NBK Design’s latest Mini O – Say Hello! 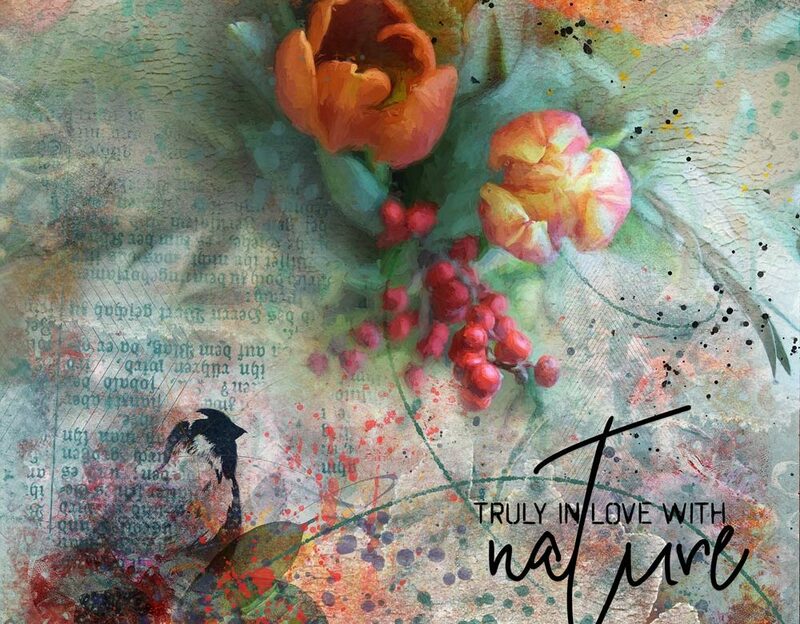 As always Nicole has filled this collection with fabulous painterly goodies!! For the layout shown below, I used Topaz Impressions to give my stock photo an oil painting finish and then I played around with blending modes and masking techniques to create an artsy layout. I also recoloured the leaves and loopy scribble using colours from the photo. Never be afraid to change the colour of your elements (or paper) to best suit the photo you are using. I am really happy with how my page turned out! The wordart is from Art & Journal. 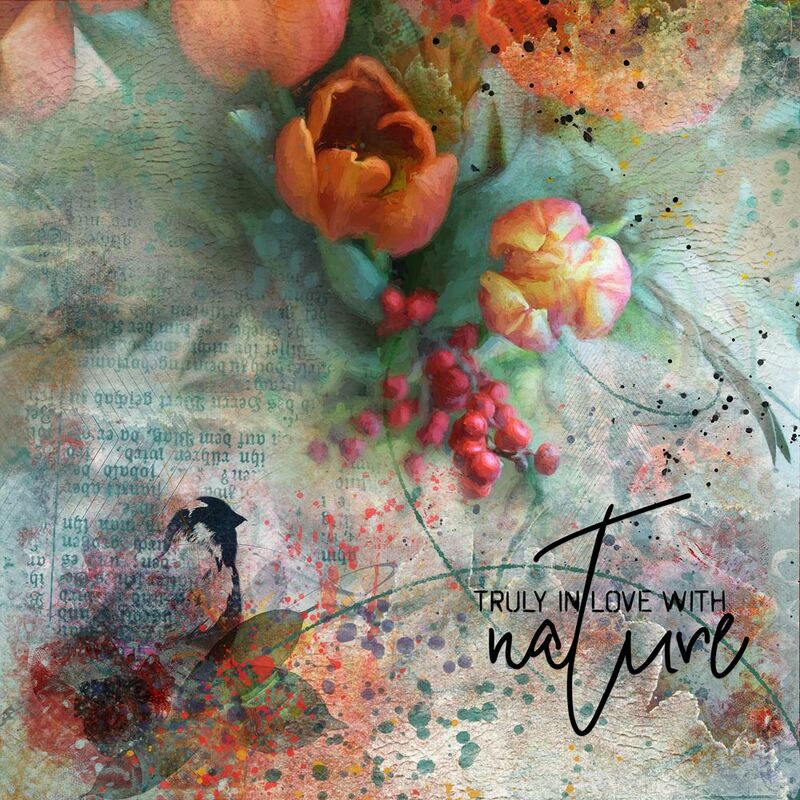 You can see this page and other pages made with this Collection in the NBK Design Gallery at Oscraps and be sure to check out the inspiration with other collections as well!